On rare occasions I blind taste a whisky and the first sip releases very little, if any, of its true quality. Then I take a second sip a few minutes later and it is as though a gremlin cheekily replaced the whisky with some magical elixir that epitomises everything I have come to appreciate in a whisky: depth, complexity, power, balance, flavour, elegance, smoothness … you get the point I’m sure. Its magic is not unlocked just yet… abracadabra I add water! POW! With a trickle of water this whisky unleashes an abundance of diverse character that retains a violent potency that enters the palate smooth as silk; like a good Tasmanian oyster (I had to fit that in somewhere!). 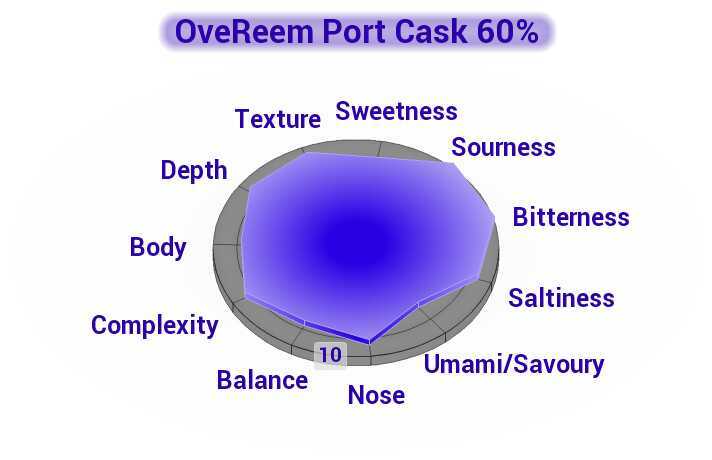 This is exactly what I experienced when I blind tasted the OveReem Port Cask Matured Cask Strength Whisky. This whisky is a powerful cask strength whisky that, with the addition of water, unlocks even more magic while retaining potency and flair. It has an exceptional balance that I particularly enjoy. I highly recommend this whisky because it is not overly sweet with lots of dryness and bursts of saltiness that all balance nicely against the bright shimmers of fruit and port sweetness. This whisky is produced by the Old Hobart Distillery, which I think is spearheading a renaissance in Australian whisky making together with Sullivan’s Cove, Bakery Hill and Hellyer’s Road among others. This rebirth seems to come from the ashes of long dead Tasmanian distilleries, the first of which was established in 1822 in Van Diemen’s Land (the former name for Tasmania). However, in 1838 Gov John Frankin prohibited all distilling… but the Tasmanian whisky industry refused to follow the Tasmanian Tiger to extinction and the government was lobbied in the 1990’s. Released from the shackles of previous regulation, Australian whisky producers began to flourish. The trailblazer Bill Lark was followed by other whisky producers and the rest is history. Now, we can all start to enjoy the magnificent whisky that is starting to trickle out of Tasmania. 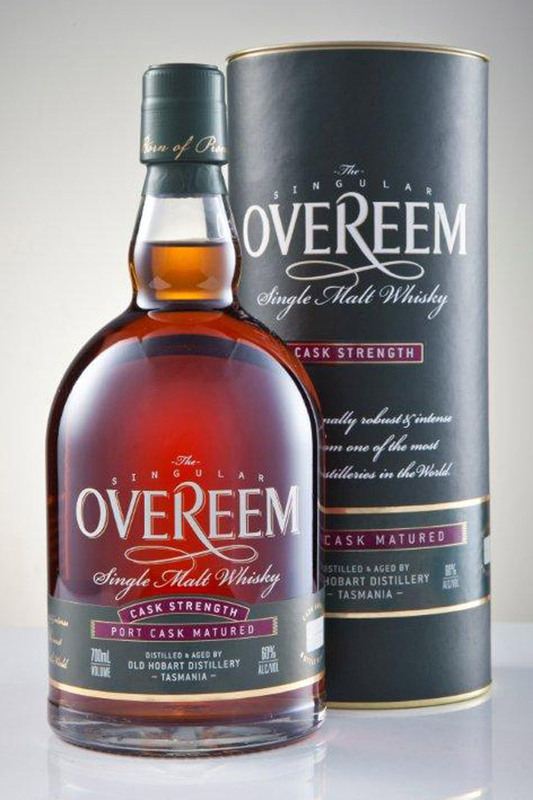 This is the first cask strength Australian whisky I have tasted, and it blew my socks off! 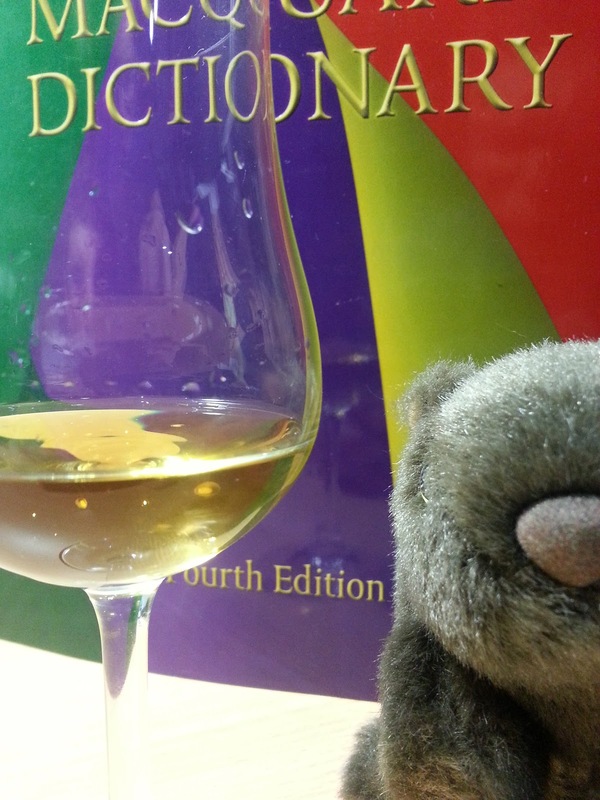 Jim Murray agrees, classifying this whisky as “liquid gold” in his Whisky Bible 2013. That is great to know Jim! What I especially enjoy about this whisky is that it has a crisp ferocity that unleashes diverse flavours that are well balanced. Superb! Here are my blind tasting notes of this whisky. The colour of this whisky is a light amber with shimmering gold. On the nose this whisky releases gusts of acidic lemon and white pepper with spicy wood. With water this whisky opens up considerably, with shimmers of honeydew, cantaloupe, mango fruit, passion fruit and bitter dense oak. After letting it rest in the glass its playful side comes out to play, releasing marshmallow, licorice, aniseed, whipped cream and mint! On the palate this whisky has a lovely soft texture with bursts of energy with a burning fire that emits orange peel and zest with dried mango. Towards the end the whisky releases on the back of the palate sea salt and iodine. With water, a strong forceful blast of flavour that starts very dry like a chardonnay leaves a crisp dryness on the tongue with very light smokiness evaporating off it. As the whisky settles this dryness is met with flurries of sea salt and iodine that add saltiness to the sweet mango and honeydew as an alcoholic bitterness sets in. Then a sharp jab of energetic spice slaps the tongue, as tangy lime and red wine add an interesting twist. The finish is exceptional. This whisky leaves flavours that radiate from the tongue for a long time with intensity and consistency.